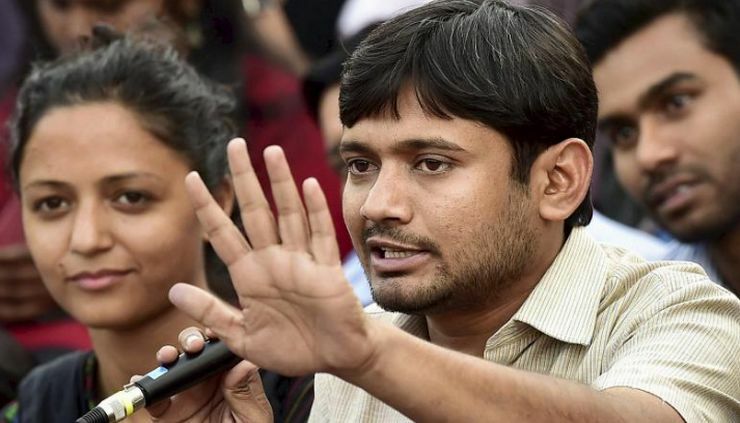 New Delhi: Delhi Police on Monday filed a charge sheet against three JNU students, including former JNU Students Union President Kanhaiya Kumar, in connection with the sedition case for raking up a massive storm three years ago by allegedly raising ‘anti-India’ slogans. Police has filed charge sheet against Kanhaiya Kumar, Anirban Bhattacharya and Syed Umar Khalid apart from seven other Kashmiri residents Aquib Hussain, Mujeeb Hussain, Muneeb Hussain, Umar Gul, Rayees Rasool, Basharat Ali and Khalid Bashir Bhat. The Police is identifying the other protesters and for that had to glean through social media posts of Kashmiris to trace the remaining accused. A protest was held in JNU on February 9, 2016 against death sentence given to Afzal Guru and Maqbool Bhat during which ‘anti-national’ slogans were raised.